It's been a while since I posted anything on this forum, anyhow, here are some figures I've been working on for later chapters of the photo novel I'm working on. Anyone who has played the game Rebel Alliance will recognise the family name. A special mention to Wraith9 who supplied the droid in the colours of the family crest. Great work! And outstanding photography!!! Awesome work, Jules! I know how much you love the X-Wing series and the Azzameens in particular. They look great! Great droid as well Is this before the events in XWA? I see Ace is quite young, you know. Excellent figures. Honestly I don't know about the family, but I certainly am interested now after seeing these customs. Looking good Jules! I can't wait to see the Azzameen's in action. Incom wrote: Awesome work, Jules! 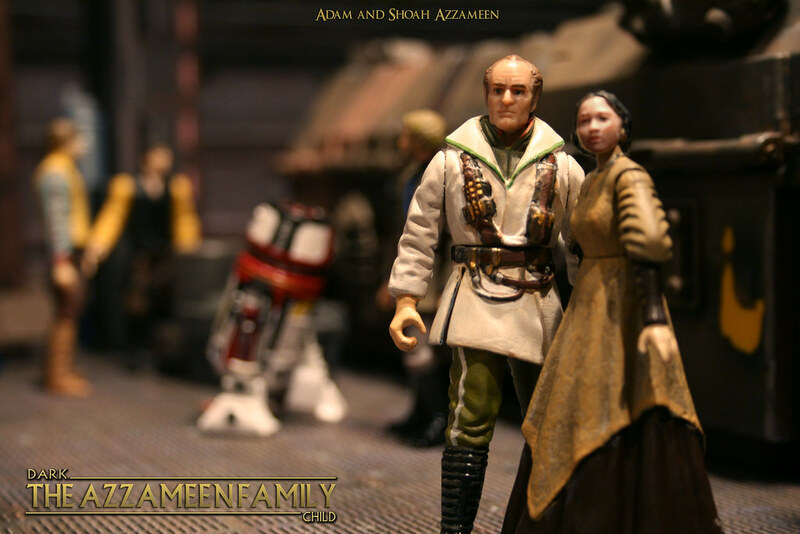 I know how much you love the X-Wing series and the Azzameens in particular. They look great! Great droid as well Is this before the events in XWA? I see Ace is quite young, you know. Oh yes, the events are happening just after EpIII so we are just over 20 years before XWA. 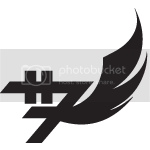 The other 2 guys in the images are Eamon and Galin. I've yet to do Antan (the traitor of the bunch). I've created Sheena and Shoah as they were both unseen in the game. It'll be a while yet before the story gets to these guys as I'm re-doing the whole thing, but should be this year. Thanks for checking me out and for your positive comments. I always got stuck on that level in XWA where you're supposed to shoot down all the Zero-G troopers, NEVER got past it. Seriously great game otherwise! 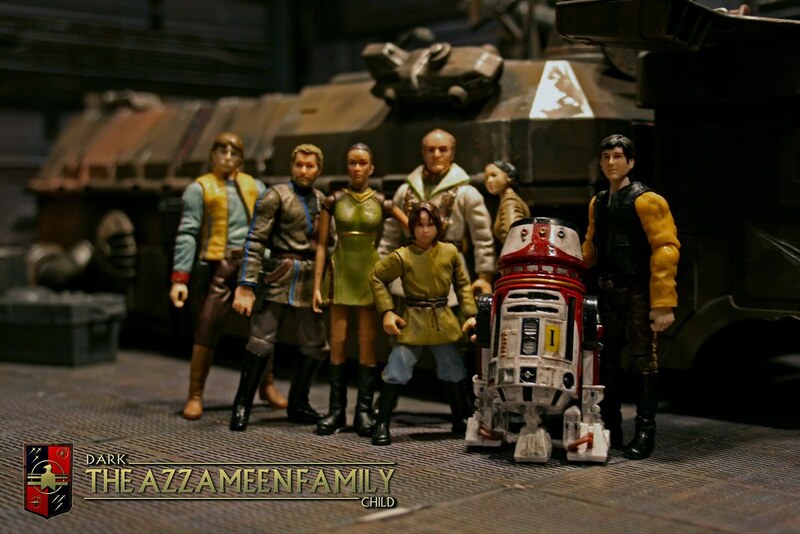 I've never heard of this family either, but that's a great lineup of custom figures. Very interesting group to say the least and also the best custom work I've seen from you so far. 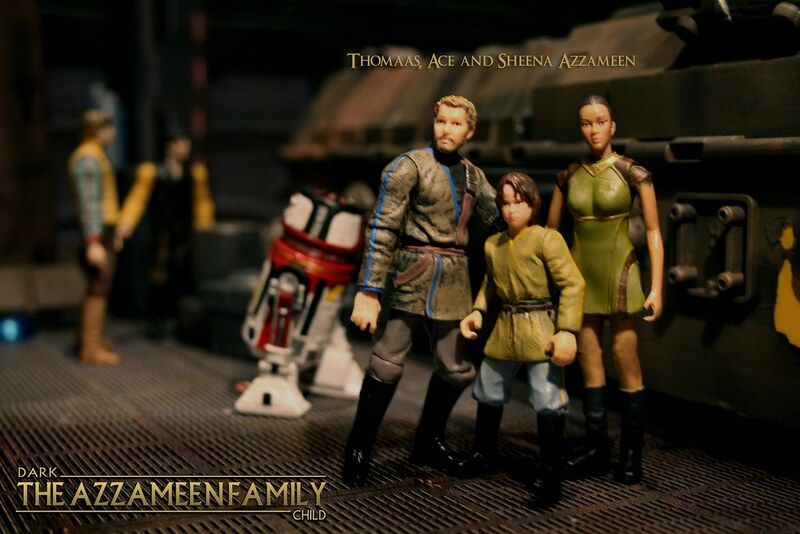 YAK_Chewie wrote: I've never heard of this family either, but that's a great lineup of custom figures. Very interesting group to say the least and also the best custom work I've seen from you so far. Chewie, hearing that from you is really fantastic and a huge compliment. Thnaks so much for that! Thanks for the Youtube link, pretty cool. So, seeing that it's more of a ship being shown, and I can't find any reference pics of the family online, I'm taking it the designs are fan fic? YAK_Chewie wrote: Thanks for the Youtube link, pretty cool. Funnily enough you never actually see the characters in the game as your either flying a corellian transport or an assortment of rebel ships but wokipedia has this information on them. I remember playing as Ace a few times back in the day. These are very excellent customs. As always, your photography really makes a difference. Nice use of Uhuru, too!